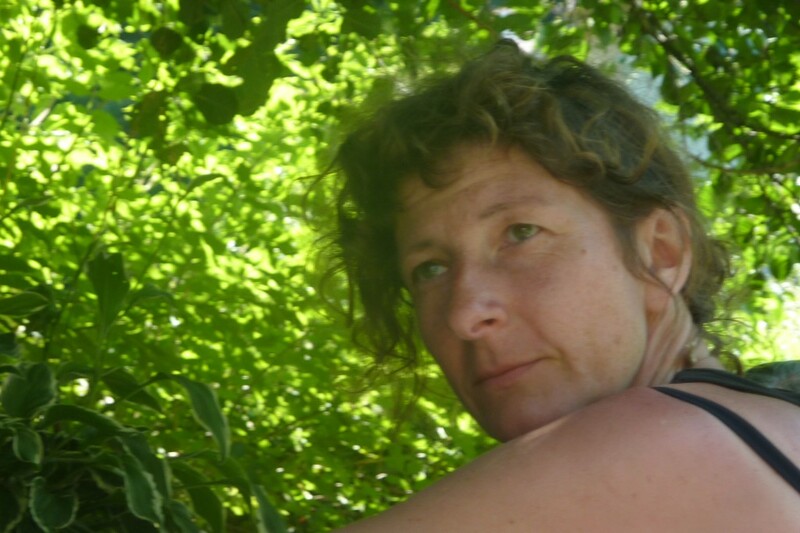 I have spent the last twenty years or so living in rural France, ten years living close to the land and trying to be self-sufficient on a small holding and ten years running an organic farm making wine and growing blueberries and medicinal plants. These ventures are now behind me but one of the very typically ‘French’ things they taught me was about using plant extracts to treat and tend cultivated plants. I know that botanical plant treatments are used all over but the French being the French have made it into an art form and a major part of organic cultivating. 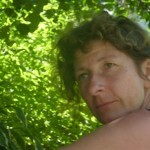 This is one of the subjects that I now teach students at the herbal school in Lyon. In order to give some the depth to the subject and enable readers to get their teeth into it, I propose this article in three parts, the first part will put ‘Healing plants with plants into context, the second will look at the techniques for making the extracts and the third will focus on some of the major plants used as fungicides, repulsives, bactericides, stimulants and elicitors. There is nothing new about this subject, in 1200 BC natural preparations were used in China as fungicides and for treating seeds, farmers all over the world were dependant on natural means to help preserve their crops from predators and disease. During the agricultural revolution in Europe, between 1750 and 1880, international commerce triggered the expansive use of the natural insecticide ‘Pyrethrum’, made from the dried flower heads of Chrysanthemum cinerariifolium and of course farmers and small holders worldwide all had their own local recipes and techniques for looking after their precious crops. And then in one swell swoop, between 1920 and 1930, the industrial and scientific revolution proposed solutions to everything and the first synthetic constituents for fighting against plant diseases were available. These were followed shortly by the dreaded DDT and a whole new epoch began based on chemical solutions to help defend against insects in agriculture, horticulture, in stocked products, wood protection and of course public health. And surprise, surprise, some years later in 1946, the first signs of resistance to the beloved DDT were detected in flies in Sweden, resistance developed fast and spread everywhere resulting in the general interdiction of DDT in the 1970’s, after of course a lot of damage had been done to ecosystems. Things however didn’t get better, they got worse and in 1983 the first transgenic plant was created, a tobacco plant that was modified to resist an antibiotic, this was followed in 1985 by the first transgenic insect resistant plant, again a tobacco plant in which a toxin gene of the Bacillus thuringiensis bacteria was introduced. Today, there is a strong desire and above all a great need to get back to non-aggressive, natural forms of agriculture and gardening. Monocultures, intensive farming, toxic treatments and high yields have dominated farming for the last 50 years culminating in what we can only call yet another ecological disaster. The very earth that feeds us is dying from being exploited rather than ‘tended’ and cared for. Dying is not an exaggeration; the earth is a living organism, very much like our intestines in that it is populated with its own specific micro fauna and flora that help keep it in natural balance. If this fine natural balance is disrupted and ignored, slowly what was living dies resulting in soils that are no longer capable of nourishing plants without the help of chemical fertilizers and the vicious circle continues. One of the things that surprises my students when they come to learn how to make plant extracts is that we spend the first day or two looking at different pieces of land, touching and smelling soil from different places, sitting on the forest floor looking at what happens on and above the ground. 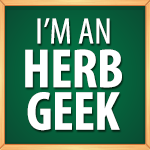 Herbal healing for plants is holistic just as it is for people; in fact the analogies between the two are numerous. As in herbal healing for humans, it is not just a matter of spraying a natural treatment onto a diseased plant. If we take the patch of land concerned to be the ‘whole’ much as we would look at a patient and their life, we cannot expect a plant that is grown on chemically saturated soil, in tight rows to react positively to a nettle fermented extract any more than we can expect someone who has eaten an unbalanced diet, lived a stressful life and used antibiotics every time they had a cold to have a positive reaction to their first herbal tea. 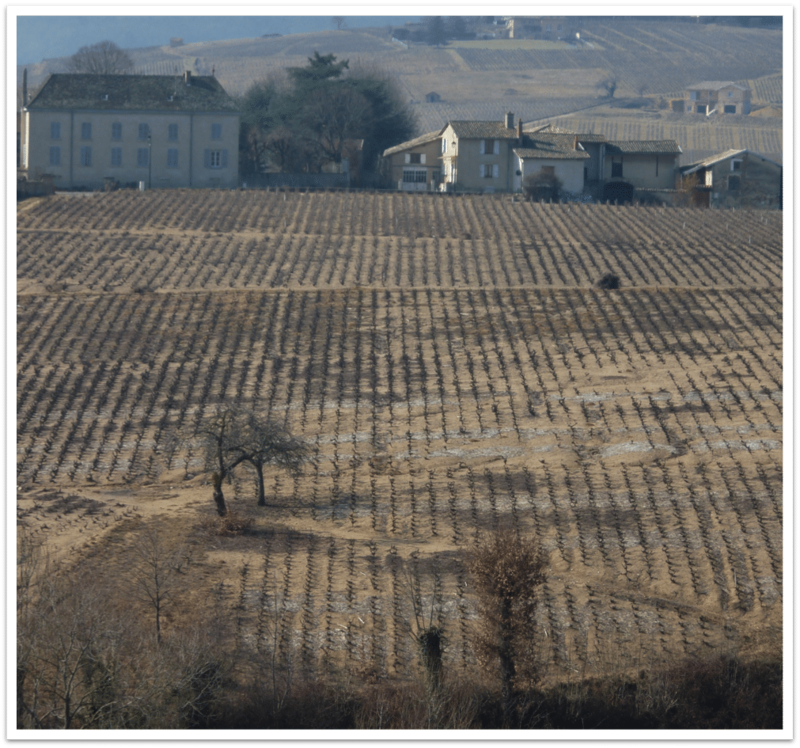 The area in France, where I teach this subject is called ‘the Beaujolais’ and it is an extensive winemaking region, the naturally poor soils are painful to see, eroded, bare and lifeless. When I ask students to take a handful of the cultivated soil and feel it, smell it…they realise straight away that there is no organic matter, no earthy smell, everything has been taken away, what was once living and full of micro-organisms is now dead, the only way anything can grow on it is through the regular use of fertilisers. On the other hand when they take a handful of soil from the forest floor, the texture is varied, crumbly, the soil is dark and rich and the smell is that familiar smell of earth, mother earth. Soil is one of the main elements that makes earth different than other planets in the universe, it is a mixture of organic material and very small mineral and rock particles that can support life. We come from the soil and we go back to the soil, everyday more and more of that precious soil is being eroded, poisoned or covered with cement. Soil can be compared to the intestines, both are populated with microorganisms that help retain balance and both are vital for overall health. In conventional agriculture the soil is often considered uniquely a support for the crop, absolutely no thought is given to its health. It is however of upmost importance to take into consideration the interactions between the soil, the plant and the environment in order to produce quality plants in a manner that respects both the environment and the health of the soil and the plant. In herbalism before prescribing plants the herbalist will often take into account and try and help the patient work on diet, lifestyle, exercise and mental and emotional problems etc. the same is true when working on naturally healing land. Herbal preparations are one aspect of a myriad of different factors that need to be taken into consideration such as soil care, mulching, plant association, hedges, ponds and biodiversity etc., they are just a part of a ‘holistic’ approach to agriculture. As in herbalism, healing plants with plants is very different from conventional medicine, and its symptomatic approach. Preventative healing is as important in healing plants with plants, as it is in herbalism, plant extracts are often used to help prevent a disease developing before any symptoms are present, such as in preventative medicine. Of course, when a disease is manifest, plants can be used to relieve symptoms but the main aim is to go beyond the symptoms and find the causes. The real healing is about introducing progressive changes so that the causes of the imbalance disappear. Prevention should go before any form of treatment. In primary forests for example, man’s intervention is inexistent and there are very few diseases and virtually none that become epidemics. The fact that in conventional cultivation plants suffer regularly from fungal infestations, viruses and bacteria is nature’s way of us giving precious information on the state of health of our land, often suggesting that the cultivating system for example is not suitable to plant health, e.g. monoculture, a type of cultivation that is not adapted to the specific species, a choice of crop that is incompatible to the environment etc. Predators and fungi are often signs, giving precious information on the state of health. The aim as mentioned above is not to eliminate predators but to improve growing conditions that enable a healthy balance to be attained. In the case of cultivated plants being hit by disease, the first step should be to check the soil’s fertility and the relationship between the soil and the plant, without a soil that has a rich biological life, nature cannot develops its own resistance to disease. 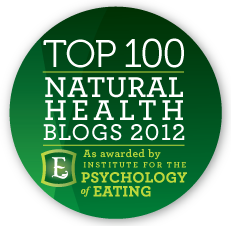 In order to use plant extracts to heal plants, intuition, observation and reflection are vital. 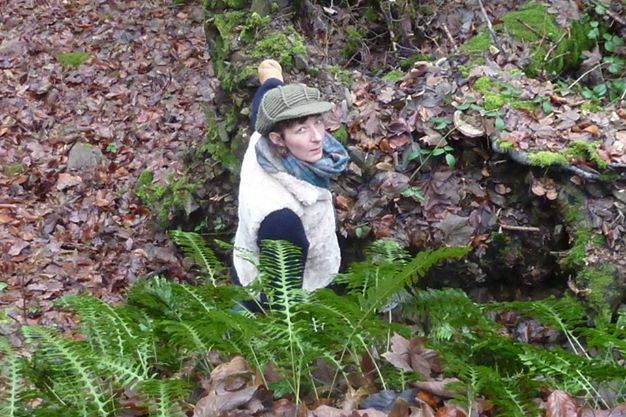 A close study of nature and the way it functions gives a solid base on which to lean when looking for a natural approach to land management and cultivation. 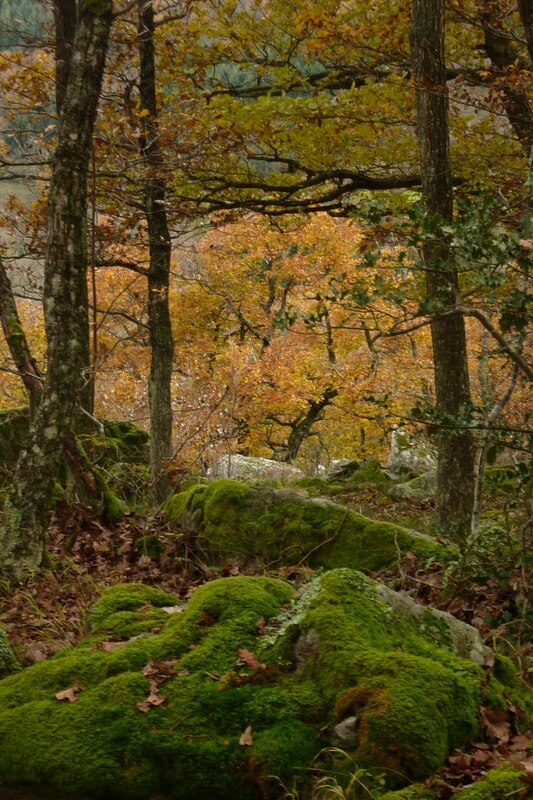 In Europe, before the apparition of agriculture, the land was principally made up of wood and forests. It is by studying closely the way nature manages its land when left to itself that we can glean interesting and important techniques for respectful, natural cultivation. 1) Animals and plants live together. Nature never creates monocultures; different plant species grow together and mutually protect each other thus naturally promoting maximum biodiversity. 2) In nature, the soil is never left bare, in fact the only place on earth, where the soil is naturally bare is the desert and yes it is not exactly soil. The layers of decomposing leaves, branches and other matter protect the fertile soil underneath from the wind, sun and rain. 3) When it rains, rather than battering the soil, the rain falls on the taller plants and trees first and disperses into smaller droplets until it eventually hits the ground as fine droplets, which penetrate the soil gently and slowly, thus avoiding violent soil erosion. 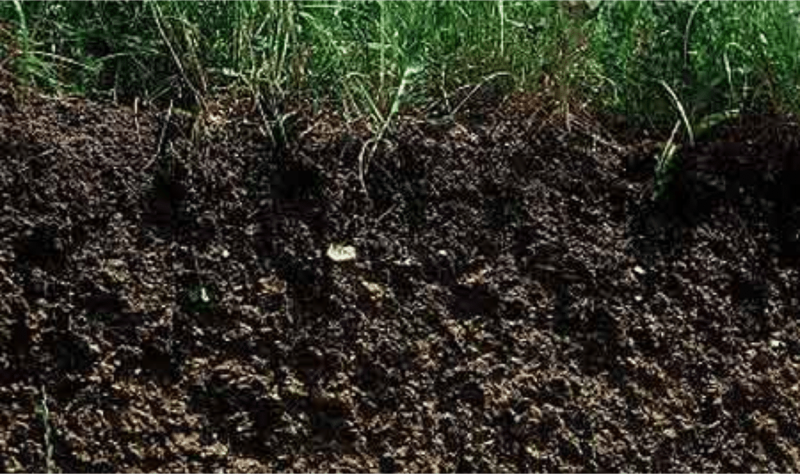 Under the layers of organic matter that covers the soil, colonies of living beings air the soil, making it porous (air and water) and crumbly. 4) Forests produce their own humus and make the minerals that the soil needs through the slow, constant decomposition of the mix of animal and vegetables residues. 5) The forest model is based on a continuous circulation of mineral matter, the bedrock very, very slowly decomposes and tiny quantities of important minerals are liberated into the deepest part of the soil structure and again very slowly make their way upwards, where they are absorbed by plant and tree roots until they eventually get to the leaves. This cycle is repeated with the decomposition of plant matter on the ground, the minerals are slowly liberated and the micro-organisms living in the soil take them gently back onto the deepest part of the earth…nothing is lost. 6) The soil is always more fertile in its upper layers, which are made up of humus. However, there is no unnecessary accumulation of humus as it is automatically mixed up with the upper layer of soil by worms and insects. 7) In a complex ecosystem such as a primary forest, it is not necessary to control disease and predators, nature takes care of this through its natural balance and complexity, the more complex a land is in its make-up, the more stable it will be (this is of course the opposite of monocultures and explains why the plants in these systems are so fragile). 8) Similar systems can be observed in natural prairies, as in the forest, the natural grass cover of different Graminaceous plants helps with non-destructive rain penetration. The complex roots systems intermingled together keep the soil in place and aired. There is very little if any erosion and the humus, as in the forest model is stocked in the upper layer. 9) In natural systems there is always a healthy balance between growth and decomposition. The plants grow with the help of the sun, oxygen, water and minerals from the soil and at the same time a mix of vegetable and animal waste is transformed into humus on the forest floor. This again is the opposite to what happens in conventional agriculture, where only the growing part of the equation is recognised, everything is geared towards high yields and it is regarded as bad practise to have grass or decaying matter on one’s land, bare, clean soils are the symbol of good land management. The environment and its biodiversity are primordial, a rich biodiversity is the sign of a healthy plot of land, like someone who eats a varied diet, exercises regularly, has a healthy emotional life, once these factors are in hand, any slight imbalance can be corrected by the help of plants. 2) Planting trees, which also act as shelter for animals and help in preventing erosion. 4) Sowing green manure during the periods where plots are resting, this will promote the soil’s fertility, and result in a less compact structure and better texture allowing water and air to penetrate more easily. 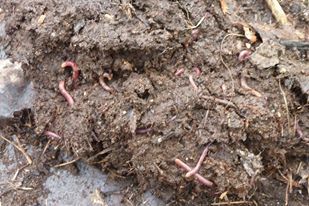 5) Compost is also useful, especially when there is a need to modify the physical, chemical and biological characteristics of the soil – the first characteristic to consider is the soil’s structure. 6) The techniques of permaculture are in my opinion one of the best ways of getting a soil back into health but this is a huge subject for another article. And lastly, please abandon the idea of eradicating predators completely; privilege an approach that consists of finding a balance between no predators and too many predators. When cultivating, the aim is obviously to harvest the plants cultivated (or at least some of them) so a certain control of predators can be needed to maintain an acceptable level, however do bear in mind that they have an integral role in the food chain that makes up the natural biodiversity. If an element in this chain is totally eradicated, the whole chain will be pushed out of balance and the natural predators that eat the insects that harm the cultivated plants one wants to cultivate will have nothing to eat and will disappear from the land. Ok, so what is a natural plant extract? Most people will have heard of or read about nettles being used on vegetable plots for example, this is a herbal extract, however the idea of shoving some nettles into water and leaving them for a period of time before filtering and spraying is not enough to make a quality treatment dean to be used on the land, the above technique will more often than not result in a putrefying mass of green sludge ready for the compost heap, and even the compost heap will wonder what happened. As in herbal medicine making, certain protocols need to be respected and learnt in order to make quality medicines, the same care and respect for techniques need to be put into medicine making for land use. A natural plant extract is a preparation made from dried or fresh plant material and water. The final form (fermented extract, tea, decoction or maceration) depends as in herbalism on the system of extraction used and the desired use. The numerous molecules contained in the plant create a synergy, which gives the final preparation its action, or more correctly its large range of actions. A synthetic product produced from one molecule does not have this synergy and so it is much easier for predators to develop a resistance towards it – this is the reason why in agriculture the available products are always changing and become more and more toxic in order to try and overcome the resistance phenomenon. Plant preparations are however degraded by sunlight giving them a much shorter action. 1) A plant extract’s biodegradability is rapid and complete, the air and the sun decompose most of the molecules, the others are recognised as being ‘living’ by the soil’s microorganisms, which assimilate the remaining natural residues. Synthetic products are not totally biodegradable, they stay in the soil and gradually filter into the water table as they solubilise in water. They not only damage the soils but pollute the waters. 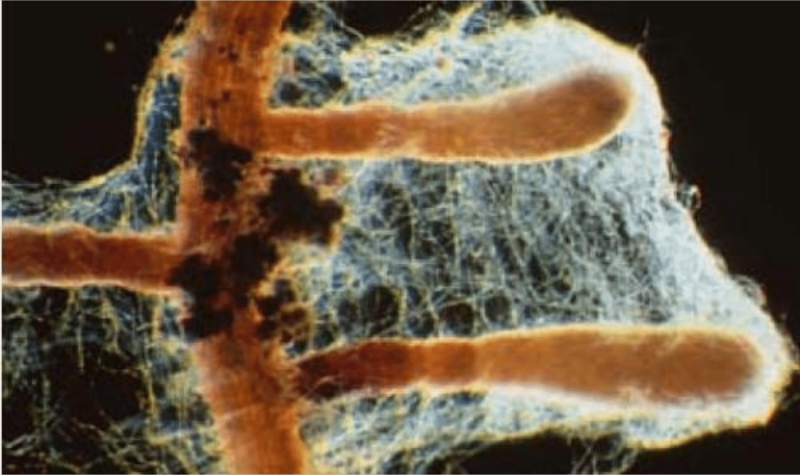 3) Synthetic pesticides solubilise in the plant cell’s vacuoles, taking the place of the essential trace elements, minerals and natural metabolites that are fundamentally vital to the plant. By using natural, plant preparations rich in oligoelements and minerals, the plant is helped rather than hindered and by pulverising plant extracts regularly a microclimate is created around the plant that is unfavourable to the implantation of disease. 4) One of the things I like best about using plant extracts is the autonomy it gives, as in medicine making, I can go out collect my own plants and make my preparations myself. This way, I know what has gone into them on both a physical and energetic level. 5) As in conventional medicine, synthetic treatments zap a predator or a bacteria by more often than not poisoning them, they do not look at the cause, they do not look at what they leave behind…they just zap!!! Plant preparations on the other hand function differently. Their repulsive action is created by their volatile and odorous secondary metabolites (the very same molecules we use in herbalism, which is of course logical), which can perturb an insect’s field of recognition or indirectly encourage the emission of plant hormones that are beneficial to the plant. The insect’s capacity to continue evolving and adapting to the synthetic molecules contained in chemical products is incapacitated with regard to plant extracts due to their molecular multiplicity. It is not possible for insects to create a resistance to many molecules at the same time. Some extracts, such as horsetail (Equisetum arvense) help plants to fortify the protective barrier of their leaves (the cuticle) and thus create an anti-oxidant action that helps to prevent a fungal infestation for example. 6) As a plant cannot grow and defend itself at the same time, plant extracts can also be used to help the plant get back its strength after fighting disease, these extracts are known as plant stimulants or bio-stimulants and include horsetail (Equisetum arvense), nettle (urtica dioica), burdock (Arctium Lappa), yarrow (Achillea millefolium) and birch (Betula verrucosa). So to summarise, tending and healing one’s land and the plants that grow on it needs a global approach. As a herbalists helps a patient find the strength and triggers that will create self-healing, a gardener needs to gently help the piece of land he or she is working with find its own natural balance that signifies it is healthy. Herbal plant extracts can play an important part in this as the plant molecules on a physical level and plant messages on a more subtle level are tools that help the gardener stimulate healing, prevent disease and interact lovingly with his land and plants, creating an atmosphere of care and respect. Next time we will look at making the extracts. Blessings to you for doing this work, and writing these posts! Excellent Article…I am going to share with others. Preserving Mother Earth should be our top priority–without her, there is nothing else~ Thank you, Cathy for sharing your knowledge and wisdom. Thanks for the great article! Will pass it on. thank you so much for writing this article. I am excited to read what follows. You are an inspiration. This is such a well-organized, concise and illuminating article summarizing plant health care, and the alternative: toxic warfare. My partner and I in Vermont are new market garden growers interested in biodynamics, permaculture, and natural remedies – working in harmony. I praise you in sharing this wise and intelligent view of plant care. And I hope many conversations are fed by this information. The current climate disruption situation is revealing how vital this knowledge is for our success in ecologically growing plants. I see a need to work with natural growing for food, medicine, ecological support, fuel, building materials, fiber, and pleasure (of course). May the strength of this natural revolution speak for itself. And may the word be heard! Great information and article! I’m looking forward to the second installment. In the meantime, you mention birch as a plant medicine. Last spring we began tapping our birches for sap. I wondered if the sap would be something good to add as fertilizer in small doses for young seedlings. Do you have any thoughts or knowledge on using sap from trees for plant food/medicine? Such a nice post and information you reviled here .